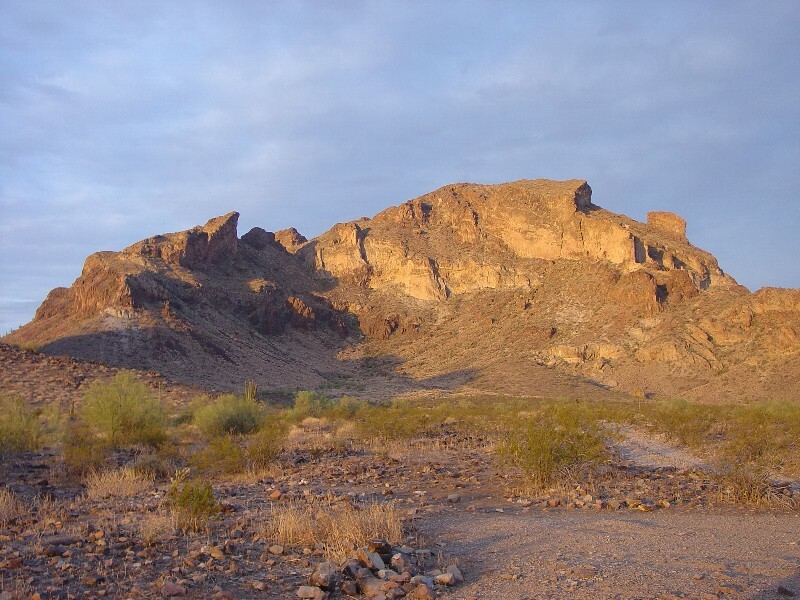 This popular outdoor recreation and fire agate rockhounding area is located outside of Phoenix, Arizona. 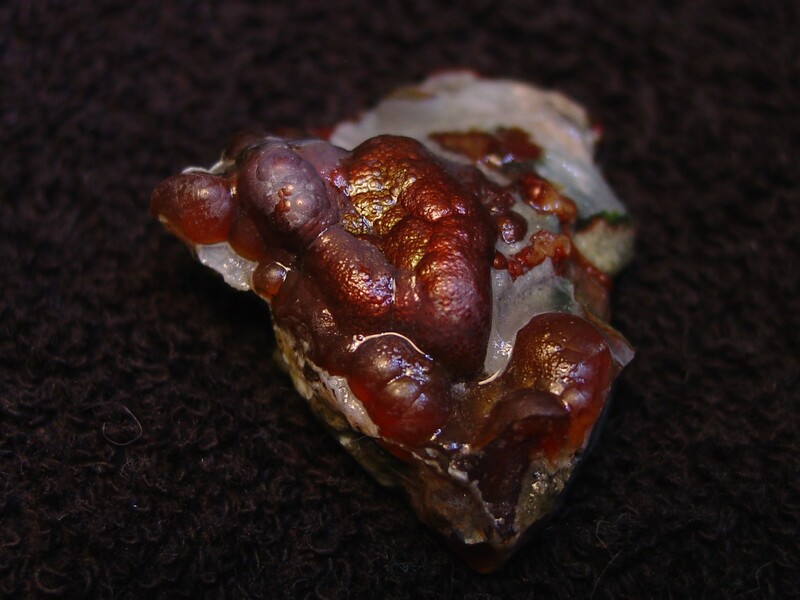 The Saddle Mountain fire agate, with gem quality being rare and hard to find, are a nice addition to any mineral collection. Please be aware that there are private mining claims located in this area so respect the property rights of those individuals and do not commit mineral trespass by collecting specimens off of those claimed lands. 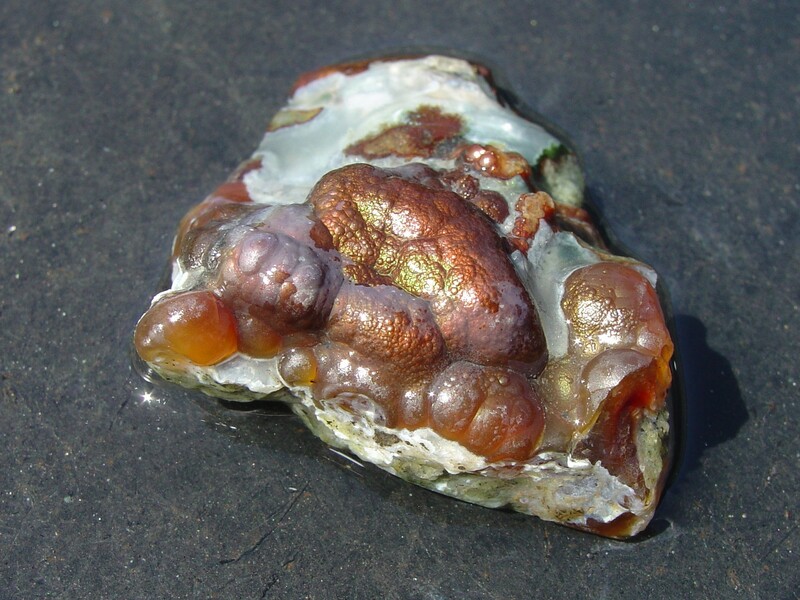 Located off of I-10, near Tonopah, this fire agate mineral collecting site has some fire agate and an abundant source of chalcedony and quartz specimens available for the rock collector. The site has been searched over many times throughout the years so keep a careful eye open for that hidden gemstone, best found after a recent rainfall. Search carefully anywhere from the paved road to the base of the mountain and watch for the brown and orange colored chalcedony. 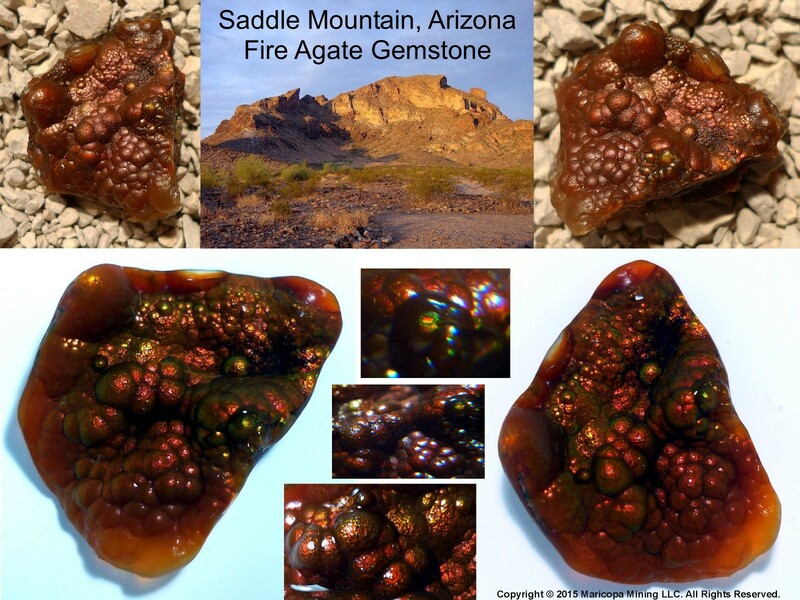 This fire agate rockhound site is listed in James R. Mitchell's Gem Trails of Arizona book, and also in the Falcon Guide book Rock Hounding Arizona.